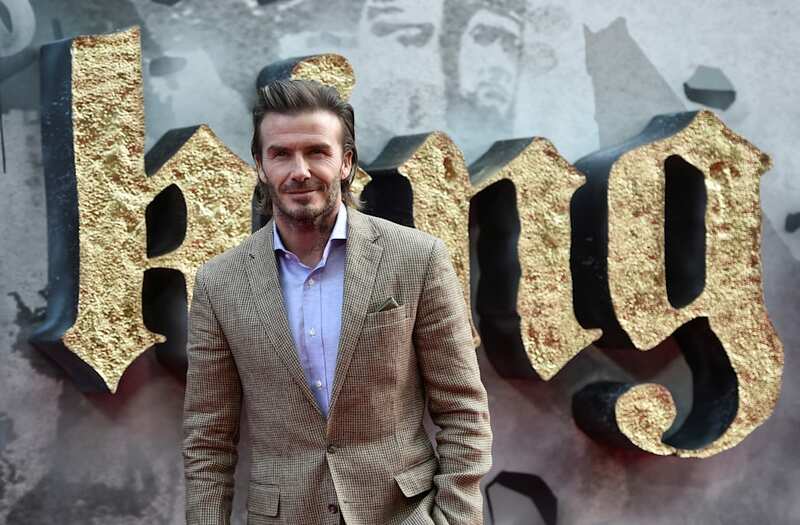 David Beckham could probably share clothes with his 18-year-old son, Brooklyn. The two hit the red carpet on Wednesday night for the London premiere of King Arthur: Legend of the Sword, which stars the former soccer pro. Brooklyn, 18, looked nearly identical to his dad but definitely has his mother Victoria Beckham's fashion sense as he stepped out in a white T-shirt with rolled-up sleeves and pleated green slacks that he tucked into black boots. David went for a more classic look, wearing a tan suit, a light-colored dress shirt and brown boots. The Beckham men weren't the only father-son duo at the premiere. Madonna's 16-year-old son Rocco showed up to support his dad, Guy Ritchie, who directed King Arthur, but the two did not pose together on the red carpet. David admitted to The Associated Pressthat Brooklyn is the only one of his three sons that has seen King Arthur. "I honestly think David is a really good actor and he is a natural performer," Ritchie praised the 42-year-old star to AP. "[I] used him in Man from U.N.C.L.E. and just felt the next step on the evolutionary ladder was for him to have a speaking part." David also enjoyed the experience on set. "It is a big family. People that are in the cast are people that are either mates or people [Ritchie] has worked with in the past or stuff like that," he noted. "It makes a big difference when you're on set. It is very relaxed and enjoyable." While Brooklyn showed up to support his famous father at the premiere, he's now making headlines all on his own, thanks to his modeling career and highly publicized former relationship with Chloe Moretz. In a prior interview with ET, David opened up about how he and Victoria are handling their children growing up and starting to date. "Obviously Brooklyn is definitely at that age," the father of four said of his oldest son in January 2016. "We're strong parents, and strict parents, but we're like most parents. We love our kids and we want the best for them, so we'll see." King Arthur: Legend of the Sword hits theaters on May 12.